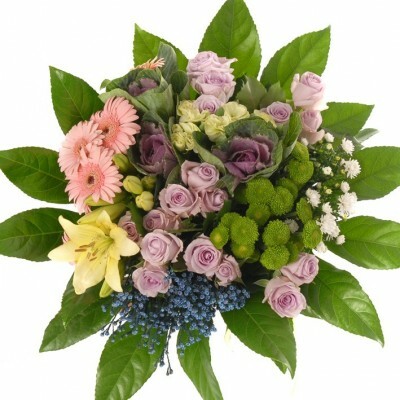 Maria is a large combination of pleasing flowers. 15 Roses, gerberas, mini carnations, sprays, green buttons, fynbos, arealea leaves, kale, lily and more. 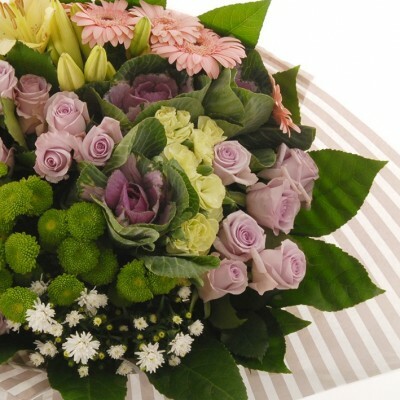 This bouquet will truly bless any mother's heart.